Given the widespread availability of effective antiretroviral therapy, engagement of HIV-infected persons in care is a global priority. We reviewed 51 studies, published in the past decade, assessing strategies for improving linkage to and retention in HIV care. The review included studies from highly resourced settings (HRS) and resource-poor settings (RPS), specifically the USA and sub-Saharan Africa. In HRS, strength-based case management was best supported for improving linkage and retention in care; peer navigation and clinic-based health promotion were supported for improving retention. In RPS, point of care CD4 testing was best supported for improving linkage to care; decentralization, and task-shifting for improving retention. Novel interventions continue to emerge in HRS and RPS, yet many strategies have not been adequately evaluated. Further consideration should be given to analyses that identify which interventions, or combinations of interventions, are most effective, cost-effective, scalable, and aligned with patient preferences for HIV care. N. Lance Okeke and Jan Ostermann declare that they have no conflict of interest. Nathan M. Thielman reports receiving other support from Cubist Pharmaceuticals as a consultant and other support from The France Foundation for consultant work in developing CME activity. In addition, Dr. Thielman is a coinventor for a patent, Stable Glutamine Derivatives for Oral and Intravenous Rehydration and Nutrition Therapy issued to the University of Virginia Patents Foundation. Joint United Nations Programme on HIV/AIDS (UNAIDS). Global Report: UNAIDS Report on the Global AIDS Epidemic 2012. UNAIDS. Geneva, Switzerland. 2012. Available at: http://www.unaids.org/en/media/unaids/contentassets/documents/epidemiology/2012/gr2012/20121120_UNAIDS_Global_Report_2012_with_annexes_en.pdf. Accessed 9 Jul 2014. White House Office of National AIDS Policy. National HIV/AIDS Strategy for the United States Washington, D.C. 2010. Available at: http://www.whitehouse.gov/sites/default/files/uploads/NHAS.pdf2. Accessed July 9 2014. Joint United Nations Programme on HIV/AIDS (UNAIDS). Treatment 2015. Geneva, Switzerland. 2012. 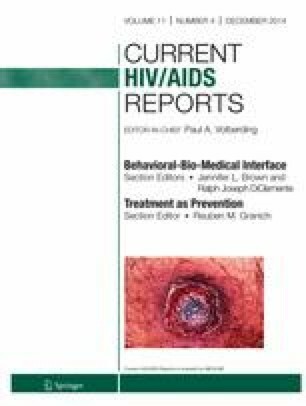 Available at: http://www.unaids.org/en/media/unaids/contentassets/documents/unaidspublication/2013/JC2484_treatment-2015_en.pdf. Accessed 9 Jul 2014. United States Department of Health and Human Services. HIV core indicators. Washington, DC. 2012. Available at: http://blog.aids.gov/2012/08/secretary-sebelius-approves-indicators-for-monitoring-hhs-funded-hiv-services.html. Accessed July 9 2014. Centers for Disease Control and Prevention. HIV in the United States: the stages of care. Available at: http://www.cdc.gov/nchhstp/newsroom/docs/2012/Stages-of_Care-FactSheet-508.pdf. Accessed July 9 2014.